Don Johnston has released a new online assessment, uPAR, a digital version of the PAR protocol, a guide that helps educators select instructional reading accommodations for students, which was previously only available in print. PAR--short for Protocol for Accommodations in Reading--is based on research suggesting that teachers aren’t always effective when selecting reading accommodations for students. The protocol can be given to up to 30 students at once and on any device with Web access. During the assessment, students read a series of passages online, then with different accommodations. After each passage, students take a quiz. Subsequent passages adjust to how well the student performs with each given accommodation. 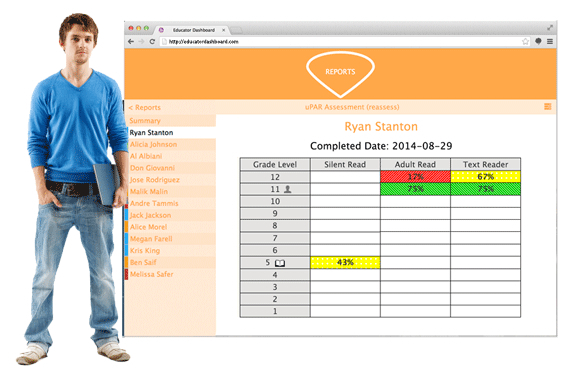 Results and data are made immediately available after a student completes the assessment. The digital upgrade comes on the heels of the new online state assessments, with more baked-in accommodation features than previous tests (such as text-to-speech replacing human readers). According to the company, some states now require a diagnostic process to justify the use of accommodations during testing, which the uPAR protocol fulfills. "Several school districts were instrumental in developing uPAR," said Ben Johnston, Director of Marketing for Don Johnston Incorporated in a statement. "The thing that stood out to the educators we worked with was how unexpected much of the data was. They saw that some students increased three to four grade levels above their independent reading levels with an accommodation. They found that some students who were using accommodations actually performed worse with them. For these districts, once they see the data, they can't imagine flying blind again."